For as long as I can remember I have always loved to make things. I was always excited to learn a new technique or sew up something unique! I went through a phase of making friendship bracelets for everyone I knew, and I also went onto creating OOAK teddy bears and finally settled on art classes. I went on to get a BFA in Art Education and Painting, and an MFA in Art Education and Printmaking. 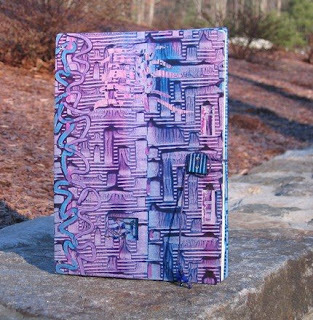 I am on the steering committee for a great program called Art All-State, http://www.worcesterart.org/Education/allstate.html and some of the artists we were interviewing to work with our students used Etsy to sell their work-- I was instantly hooked! I was a buyer! I loved attending craft shows and art fairs, but never took the plunge to participate in fear of not having enough work to fill up the booth! With Etsy, you can sell a few items or a lot-- it was perfect to get me started. Yes! I teach high school art classes, mostly photography, AP Studio Art and Portfolio. My shop is run by me, in all of my spare time :) I don't have any help, just a lot of great friends and family that are very supportive. Make art as much as you can. Spend some time setting up your shop, and reading the Newbie Guide for Sellers- it really does help. Spread out your listings if possible, and list as often as you can. I took a course at a local high school with some very talented teachers! Their enthusiasm for the entire process was infectious! 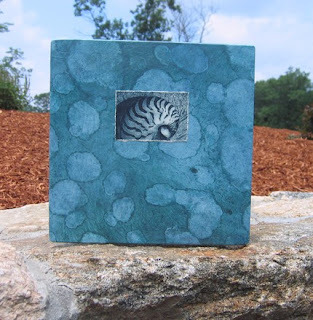 I have been crafting for as long as I can remember, but started bookmaking in 2002. I enjoy coptic stitching, but have begun exploring other exposed spine techniques. I also have been making books that have covers that fold over and fasten with sticks, so that has become my new favorite type of book to make. 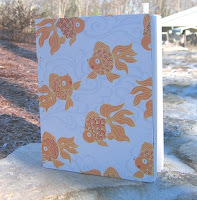 I use Davey Acid-Free Binders Board, PVA, Drawing Paper, Waxed Linen Thread, and I try to make one of a kind paste papers to cover my books with whenever possible. I also love using maps and other recycled papers. Everything. I am always getting ideas as I go through the day.